Upgrade works to Joe Saunders Playground we completed in 2017. 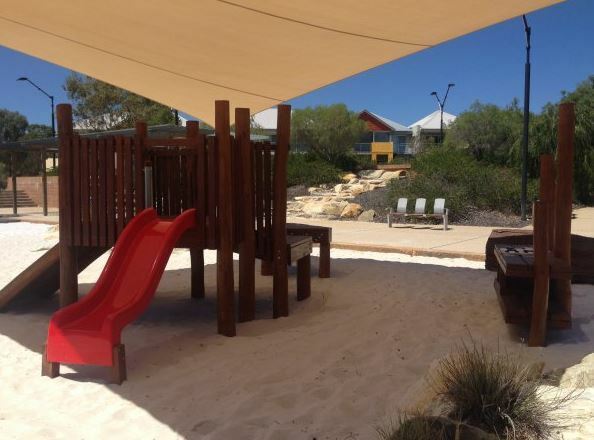 The new works incorporate new playground structures including a swing set, kitchen bench 'messy play' and wooden play structure. 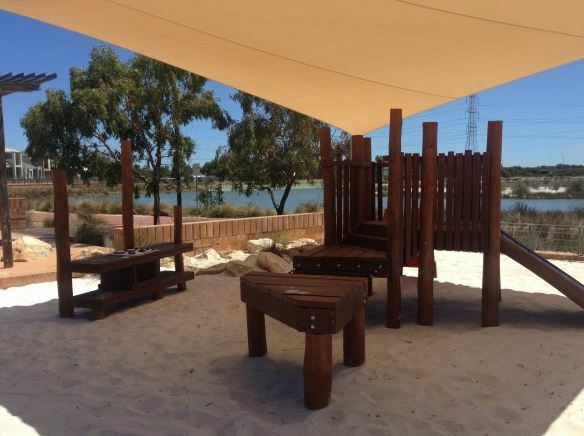 Existing play elements including logs and rocks were retained, and the new play equipment incorporates the same natural theme by featuring natural timbers and neutral colours to fit in with the existing landscape of the surrounding lake. 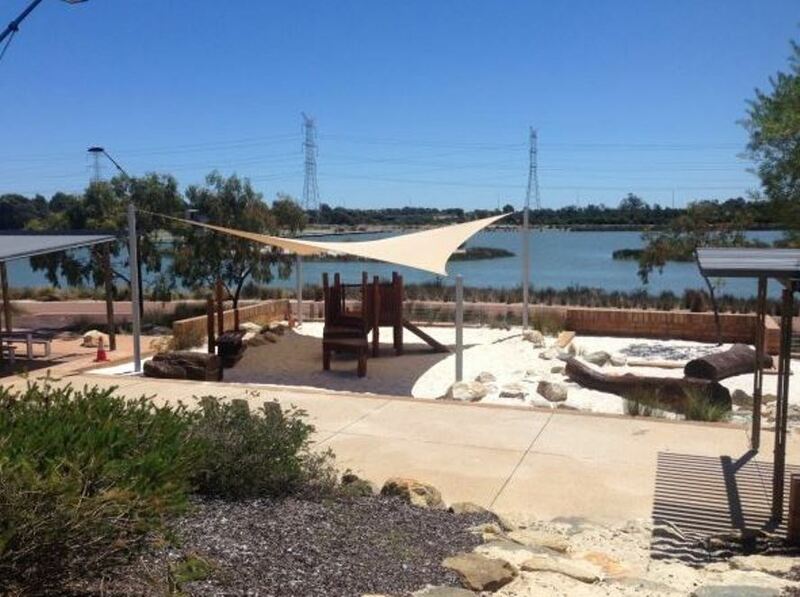 A shade sail was installed to provide coverage and protection from the sun. 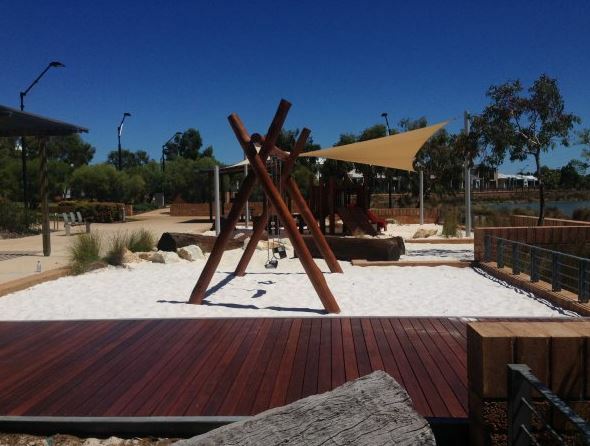 The information and images about Joe Saunders Park are sourced from the City of Armadale website.